Justin Bieber has made a change to his appearance and unfortunately I don't mean that he's stopped wearing parachute pants. Justin Bieber's mustache has returned and, true to form, it is still a barely visible line of stubble that looks more like a chocolate milk accident than an intentional style decision. 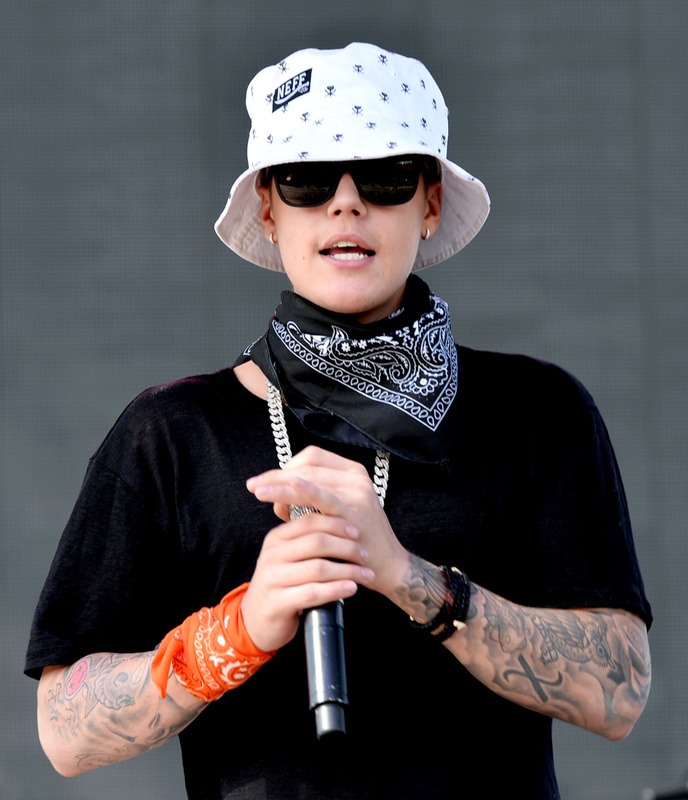 Bieber has previously donned a mustache and the results were quite uncomfortable. Bieber is 20 years old, but the mustache makes him appear even younger because it's just so thin and without appropriate beard stubble accompaniment. The current edition of Bieber's mustache made an appearance at the Cannes Film Festival this weekend. Bieber was attending the Bungalow 8 & The Weistein Company party and posted a photo of himself all dolled up for the fiesta on Instagram. Bieber's outfit for the night is highly appropriate for a Cannes party especially in comparison to his usual looks (leggings with capris over them, anyone? ), but the mustache is highly distracting. I think the mustache isn't very succesful, but Beliebers are totally on board (many of them call him "perfect" in Instagram comments). As for what Bieber himself thinks of the 'stache, it's unclear. He captioned the photo simply, "Lord knows" with a crown emoticon leaving us asking, what does the lord know? Lord knows this mustache took 6 weeks to grow. Lord knows people are going to talk about my mustache like last time. Lord knows I'm totally okay with people talking about my mustache like last time and that's why I post photos of it on my public Instagram account. Lord knows I look damn good with this mustache and with one too many buttons undone on my shirt. Lord knows I can't grow a beard so I'm rockin' the 'stache solo. Lord knows where my outlet converter is. I can't plug in my razor, so I have to have this mustache again. Lord knows that mustache has got to go. That, or he can let it continue growing. I'd love to see how Justin Bieber looks with a full, fluffy mustache and to see how long it takes for him to get to that point. A year? Two years? It's anyone's guess.